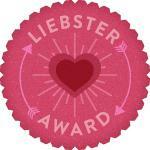 The Liebster Blog Award is for blogs with 200 or less followers, a fun way to help spread the word about smaller blogs and get them more readers and followers! 1. What is the scariest movie you’ve ever seen? 2. If you were a character on a TV show, which one would you be? 3. If someone wrote a book about your life, what would they title it? 5. Would you like to know the day you’re going to die ahead of time? Why or why not? 6. Would you rather have super strength or super intelligence? And why? 7. Would you rather have the power to be invisible or the power to read minds? And why? 8. Name one thing are you most proud of? 9. What are you most looking forward to in the next year? 10. What is your ultimate dream vacation? 11. What would you do if you were a man for a week? 1. What three adjectives best describe you? 2. If you were a police officer for one day what would you do with the authority? 4. What do you like to blog about most of the time? 5. What do you know how to say in a foreign language? 7. What is the most disgusting thing you have ever eaten? 8. When was a magical moment in your life? 9. What do you think of the movie Twilight? 10. What was the last thing that you lost and later found? Congratulations for the award!!! and thank you so much for your nomination!!! I don't meet the rules but 'll give the award to various blogs that need get them more readers and followers! Congratulations and thank you for the nominations! hi there and thank you for having thought of me...I think your cat Catherine might want to meet our cat Vhea :) I wish you get to win the lottery soon! throw some cash my way huh hehe...I will work on this when I get the energy...in the meantime, I wish you have a blessed week and stay pretty! mwah!